Hello Friends, loooong time no chat! Things sort of spun out of control for a little bit there in my corner of the world with lots of deadlines and unplanned assignments! A little glimpse of behind-the-scenes for you: There are many many moving parts to get a magazine project finally to the “official” stage, and my role is normally at the front end. I complete and turn in my part, and then I move on to the next thing. In between my part and the final “official” part, things like proofing, formatting, photography, layout etc take place without my involvement. And then, magazine copies with my project(s) in them show up in my mailbox. THAT’S when I know my projects are official! But oftentimes, my quilting friends who look out for me would alert me even before I know it myself. So, texts and emails that say “Hey, I saw this or that quilt of yours” are always welcomed messages! Do check back this week for other magazine quilts that have become official during my blog absence these last few weeks…. You have seen these quilts I designed with Windham Fabrics’ Hamilton line! If you haven’t, click here for the fun facts on this beautiful fabric line! Friends, I am happy to share with you my other Hamilton quilt, Village Square, made cover of McCall’s Quilting May/June 2017 issue!!!! 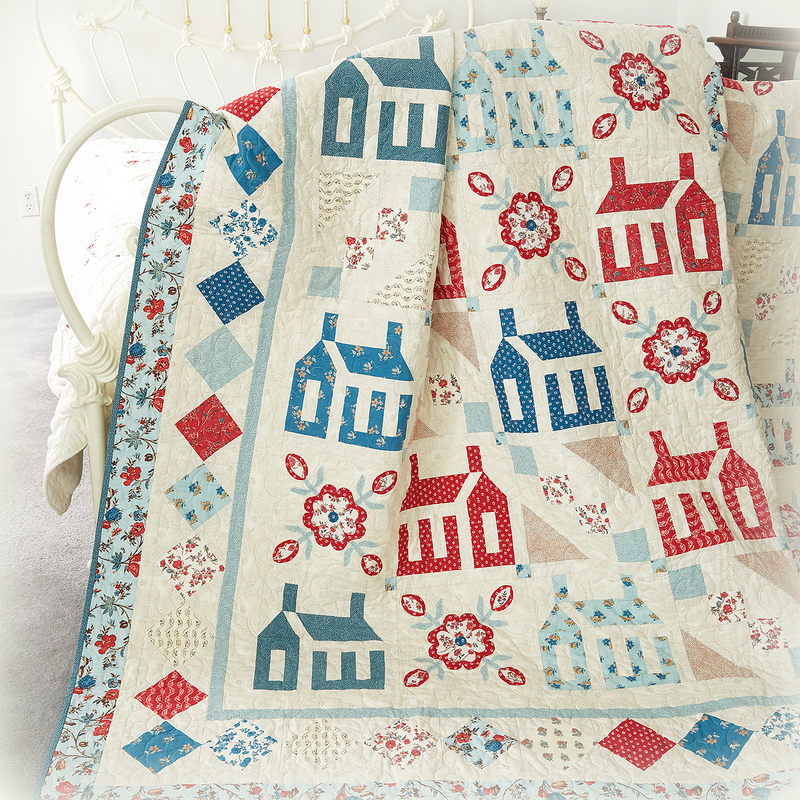 Village Square is a bed-sized quilt that utilizes the mix of applique and piecing! It is a four-part series quilt that will be released in McCall’s Quilting magazine issues starting from the May/June issue. I do love the red/white/blue color combination! If you aren’t a McCall’s Quilting subscriber, you may pick up your copy at newsstands now while the issue is still current. 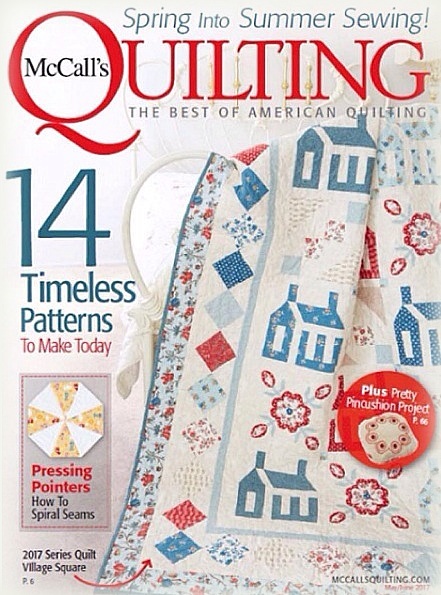 You may also purchase it directly from McCall’s Quilting in print or pdf format. You may also purchase a quilt kit here. I won’t have this quilt back from the editor for a few more months. That’s why I don’t have any additional pictures to share with you! Thank you for letting me share with you my excitement for my quilt being cover girl! :-) I look forward to seeing your version of Village Square if you decide on joining in the fun of making this series quilt. I know some of you have already started the quilt!!! Things remain busy for me… but I hope to be able to share what’s been going on at my end in a few weeks. Now, I want to know what you’ve been up to the last few weeks… because I am nosy!! !